Has the Christmas period helped you put on a few extra kilograms? Are you looking to get rid of the KG’s? How about a protein shake that helps you drop those KG’s and at the same time tighten the skin and help you look younger. You might know that as we get older our body produces less collagen, how about a collagen shake? 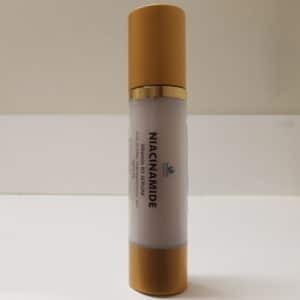 That helps you loose weight and makes you look younger. How come I have not seen this before? Because it is now to the market and really is a market changing formula. 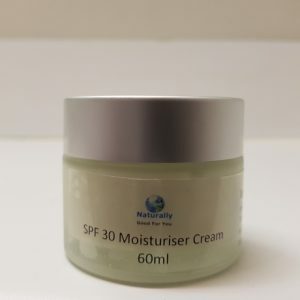 developed by a doctor right here in Australia. So you know it’s the real deal and any concerns about quality have gone. With the help of this shake and replacing one meal a day with this great tasting shake could be the easiest weight loss diet you have been on. This shake is full of dietary fibres, protein and with 3.5 g of collagen in each serve. 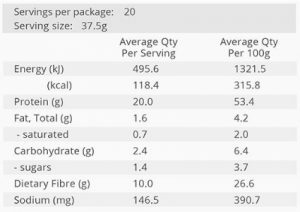 One 750 gm packet of The Beauty Shake contains 30 serving, so at $60 a packet, that’s $3 a serve. Which makes it great value. Why not try some today or pick up an eight packet box and only pay for seven packets? 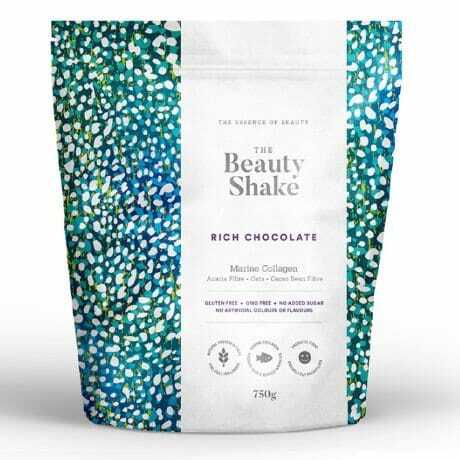 Soy protein, whey protein, cocoa bean fibre, oat fibre, acacia gum, marine collagen, cocoa, natural flavours. While this product can replace single meals it is not designed to replace all meals though the day. It is not intended to be used as a sole source of nutrition or total diet replacement. You can replace single meals, but not every meal. Add 37.5g or 2 heaped scoops to a shaker or mixer with 250ml of skim milk or other low-fat milk of your choice, shake well and enjoy. Alternatively, add a spoon of low fat yogurt and fruit of your choice and blend with ice to create indulgent smoothie that will keep you felling full for hours.